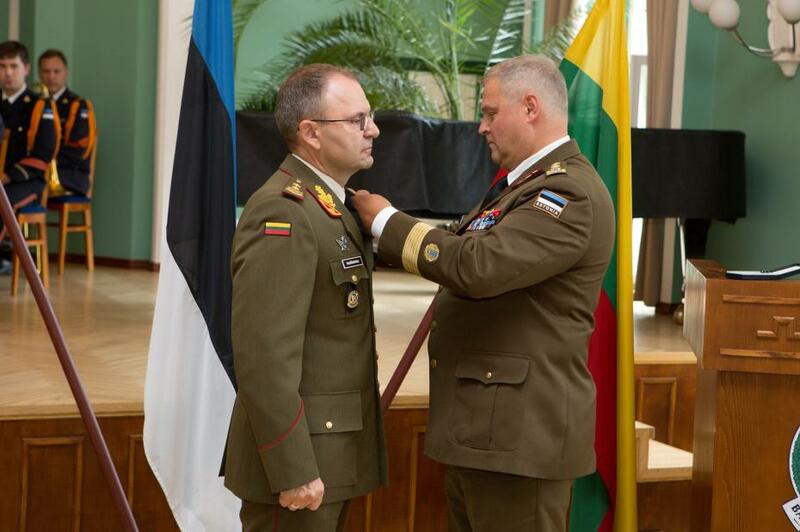 On 8 August 2016 the Baltic Defence College (BALTDEFCOL) Change of Command Ceremony and the Opening Ceremony of the Joint Command and General Staff Course (JCGSC) 2016/2017 took place in Tartu. 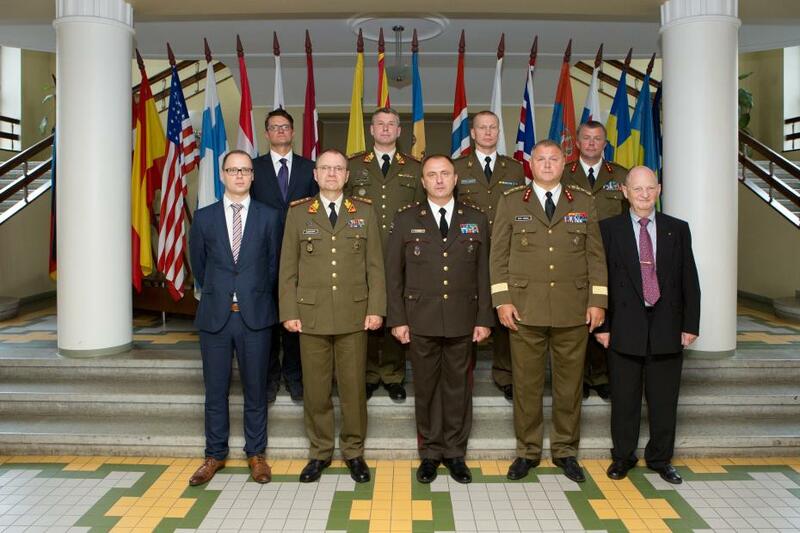 The event was honored by the presence of high level representatives of the Defence Ministries and Defence Forces of the Baltic States, former BALTDEFCOL Commandants Danish Brigadier General (ret) Michael Clemmesen and Estonian Brigadier General Meelis Kiili, as well as Ambassadors, Defence Attachés, heads of partner professional military education institutions and other high level officials. 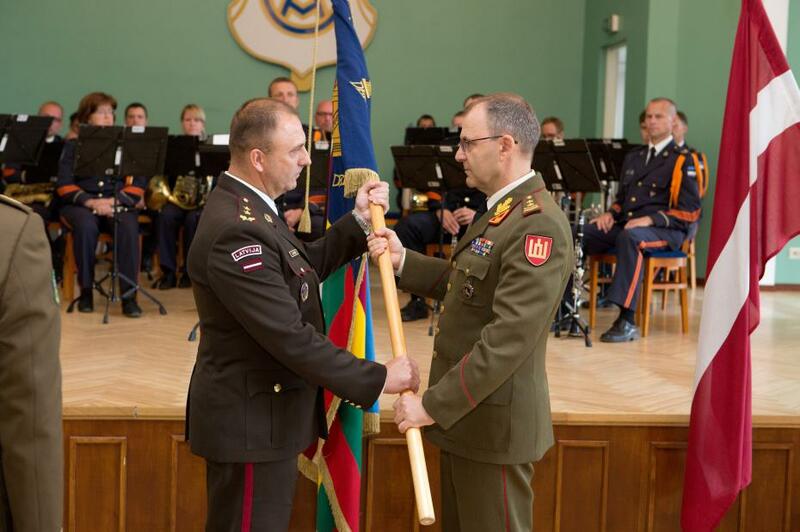 At the ceremony, the command of the College was officially handed over to Major General Andis Dilāns (LVA Army) by receiving the Colours of the College from the outgoing Commandant Major General Vitalijus Vaikšnoras (LTU Army). 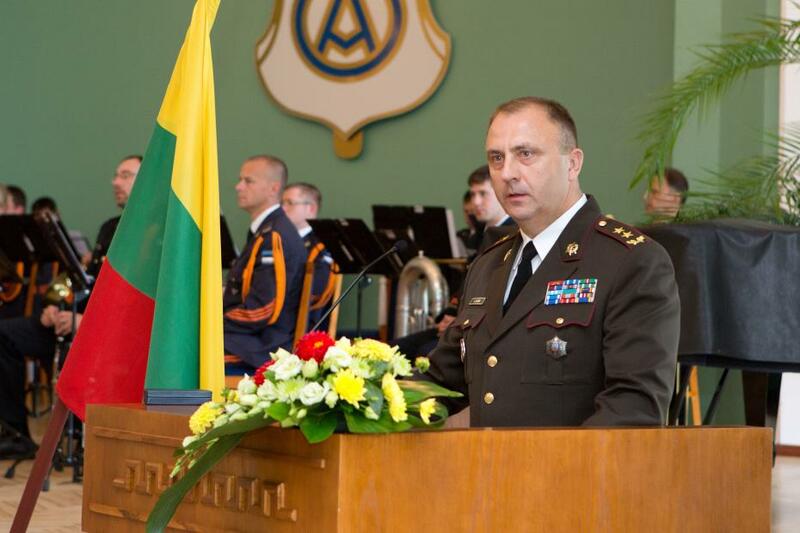 In his farewell speech Major General Vitalijus Vaikšnoras expressed his gratitude to those who have had a great share in the development and support of the BALTDEFCOL by stating: “All of our success is the result of our team´s efforts, dedicated work and commitment of the people working at the College and our superiors and great supporters in the three Baltic states, in our Ministries of Defence, Armed Forces and partner nations”. He also thanked in particular all permanent personnel of the BALTDEFCOL for their excellent work and especially recognized the support, understanding and dedication from spouses and families. 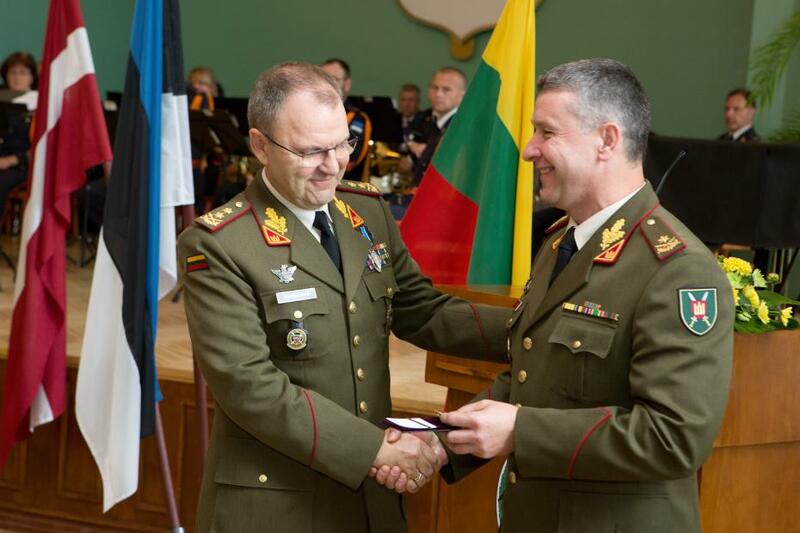 During the ceremony Major General Vaikšnoras was awarded with the Baltic Defence College Medal of Merit Gold for his exceptional contribution to the development of the education and research process of the Baltic Defence College, as well as selfless dedication to the College. 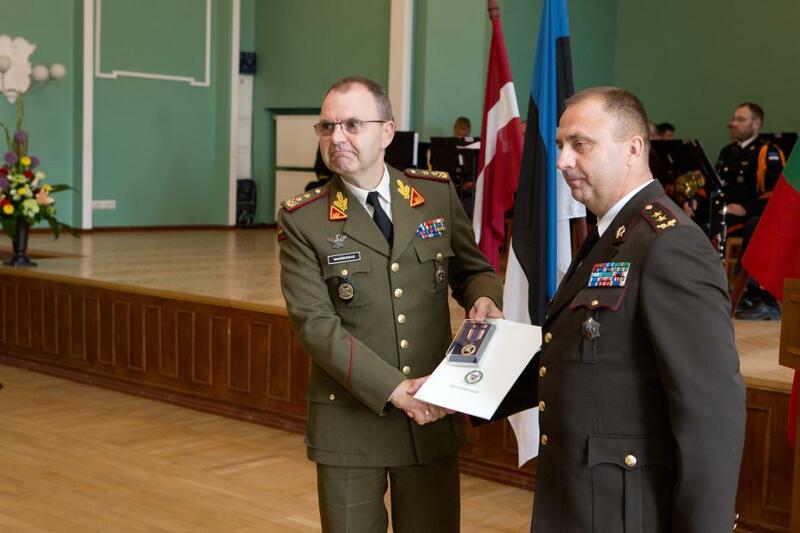 Chief of Defence of Estonia Lieutenant General Riho Terras and the Secretary of State of the Ministry of Defence of Latvia Mr Janis Garisons both noted the merits of Major General Vaikšnoras by presenting medals. 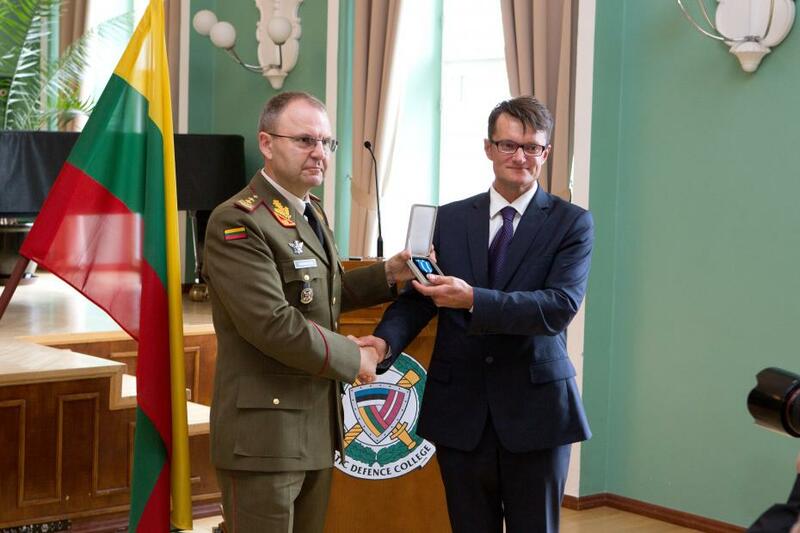 In addition, the Commander of the Lithuanian Land Force Brigadier General Valdemaras Rupšys presented Major General Vaikšnoras the National Defence System Medal of Merit. Welcoming the JCGSC students to the Academic Year 2016/2017 Major General Dilāns pointed out: “The dynamics in the region and decisions taken during the recent NATO Summit in Warsaw clearly are demanding for an increasing number of professional, highly educated officers, who’ll be able to deal with a wide spectrum of possible challenges. And I am sure that with our common efforts we will be ready to ensure it, thus clearly following our slogan Ad Securitatem Patriarum”. 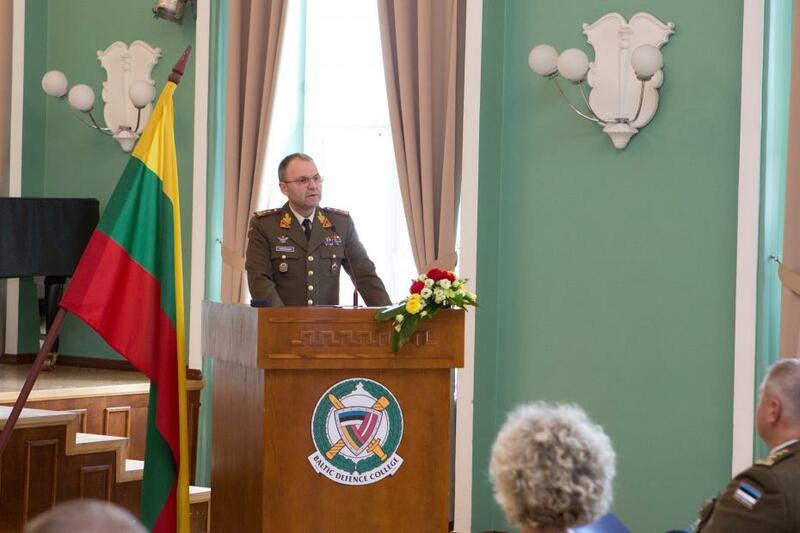 Commandants and officers of the JCGSC 2016/2017 were also addressed by speeches by the Chief of Defence of Estonia LTG Riho Terras, Land Forces Commander of Lithuania BG Valdemaras Rupšys, and State Secretary of Latvian Ministry of Defence Mr Janis Garisons who all passed their congratulations and best wishes to the College and to all counterparts on the historic moment in the history of the BALTDEFCOL. Not of minor importance was the opening of the JCGSC 2016/2017 – the eleven month-long course preparing future commanders and general staff officers for joint, service, interagency and multinational environments. This year, the JCGSC welcomed 57 officers from 14 different countries. Participants in the course are coming from NATO, EU and PFP countries. The list includes the three Baltic States, Armenia, Azerbaijan, Bosnia and Herzegovina, Georgia, Germany, Moldova, Norway, Poland, Serbia, Ukraine and United States of America. 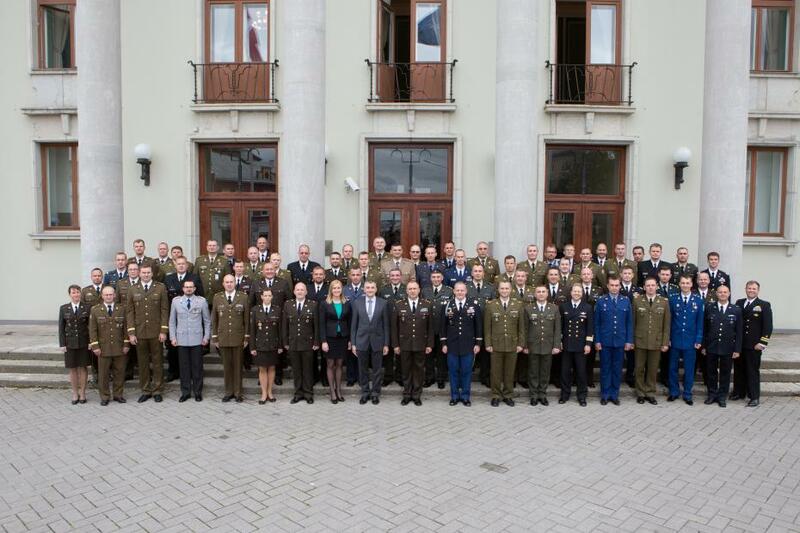 The Baltic Defence College welcomes all students and wishes them a successful academic year!